Participants are being sought for an asthma study which experts hope will shed new light on the condition and help develop better treatments. People both with and without asthma are being asked to take part in the study, held at the Nottingham Respiratory Research Unit at The University of Nottingham. The research is part of a wider collaboration with other institutions elsewhere in Europe. Trial leader Dr Dominick Shaw said: "This is the largest European study of severe asthma ever. It could revolutionise our understanding of the disease process and lead to better, more personalised treatments." Worldwide, asthma can be a difficult condition to treat. There are various asthma types, meaning that a certain treatment will not always be effective for every patient. The study comes in the summer months, when many people will be preparing to jet off on holiday. 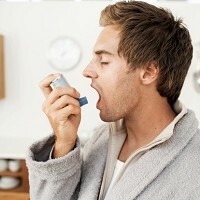 To this end, travellers with asthma are advised to arrange pre-existing medical travel insurance ahead of their trip. The Nottingham research, part of the wider U-BIOPRED study, will examine how chronic asthma varies from patient to patient with the aim of making a greater variety of treatments possible. Dr Shaw went on: The U-BIOPRED project is a ground-breaking study which we hope will greatly improve treatment options for people with asthma."